Get your license through a designated driving school by taking the lessons needed to build both driving skills and driving knowledge. We offer a wide range of driver's license training, ranging from automobiles and motorcycles to special-purpose vehicles. Here at Port Island Driving School, we have English-speaking receptionists and instructors to assist non-Japanese speaking students throughout their training sessions. We also offer English instructional materials. 1. We can customize lesson plans based on your schedule. 2. English-speaking staff members can assist you during driving lessons, driving tests, and written tests. 3. We can provide you with English instructional materials. 4. If students wish to take the learner's permit examination in English, a member of our English-speaking staff will guide you to the testing location. 5. After successfully graduating from Port Island Driving School, the test instructions will be explained in English. *The displayed prices include the fees (listed below) required to graduate. Fees for retaking the written examination for driving permits, cancellation fees for driving lessons, additional training (outside of the lesson). 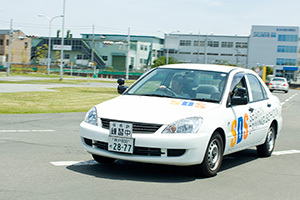 Copyright(C) SEISHIN DRIVING SCHOOL All Right Reserved.